At IHM we sell Fair Trade products in the Fatima room after every mass on the second weekend of every month. We offer a variety of products: six different coffees in both ground and whole bean form, Palestinian Olive Oil, hot cocoa, baking cocoa, a nice variety of chocolate bars, mini-chocolate bars, and seasonal chocolates like Easter Eggs. Volunteers to help sell Fair Trade after masses are always appreciated. 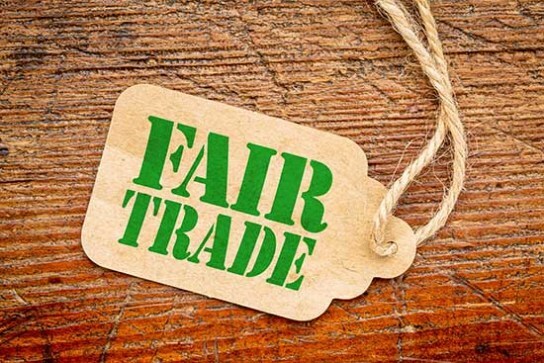 Fair Trade is a trading partnership based on dialogue, transparency and respect. It seeks to give producers in developing countries an opportunity to make a living from the products they grow. It contributes to sustainable development by offering better trading conditions to, and securing the rights of these producers and workers, especially in the global South.